I want to make you laugh today. It’s April, which means we students are in the thick of our semester work, probably balancing a job, extra-curricular activities, friends, family, a grouchy landlord, or maybe even some mental health struggles. I get it, and I’m there in the struggle with you. If you aren’t a student, maybe you’re overwhelmed with work or family, or some other unexpected, joy-draining crisis. When did life become a great big toil fest? I wrote this blog with the hope that it would bring some cheer and laughter to you, while still providing enough educational information that you don’t have to feel too guilty for taking a break to read it. After all, you’re learning something…right? I think we can agree that there’s something about watching or experiencing something funny that makes us feel good. Science backs up this feeling. According to this article from Huffington Post, laughter helps relieve stress and pain, boost your immune system, reduce blood pressure, stimulate your mind, and provide a good workout (around 50 calories burned for 10-15 minutes of laughter). Want to improve your health and well-being? Just watch some vines or your favorite stand-up comedian and you’ll be on your way to bliss. But, at least in the United States, humor had very little influence on our culture until about 100 years ago. Before that, laughing or even smiling too much was considered foolish and unintelligent. 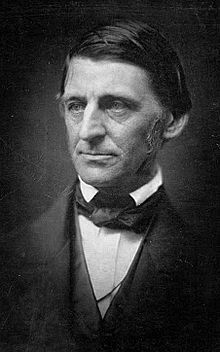 Even prominent humorists of the time, such as Ralph Waldo Emerson (pictured below), agreed with this sentiment. Fortunately for us stressed-out, exhausted ‘mericans in need of a good laugh, that attitude began to change in the late 1800s, marked by the 1871 debut of the first successful humor magazine in the United States, Puck. Inspired by the British humor magazine—Punch–Puck was a fully colorized, cartoon-filled, German-language humor magazine that ran from 1871 to 1936. 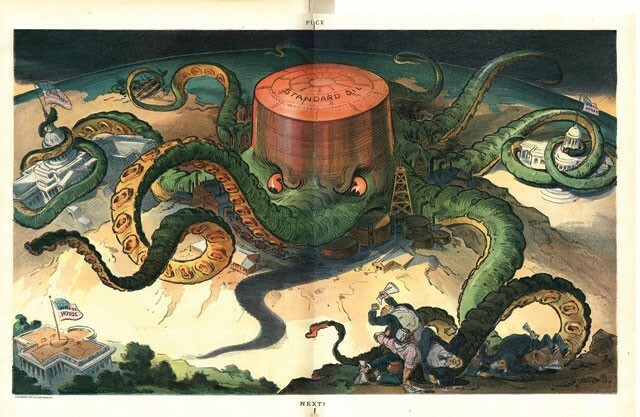 An example of a 1904 Puck cartoon. Puck is considered as the beginning of American political satire. From explorepahistory.com. 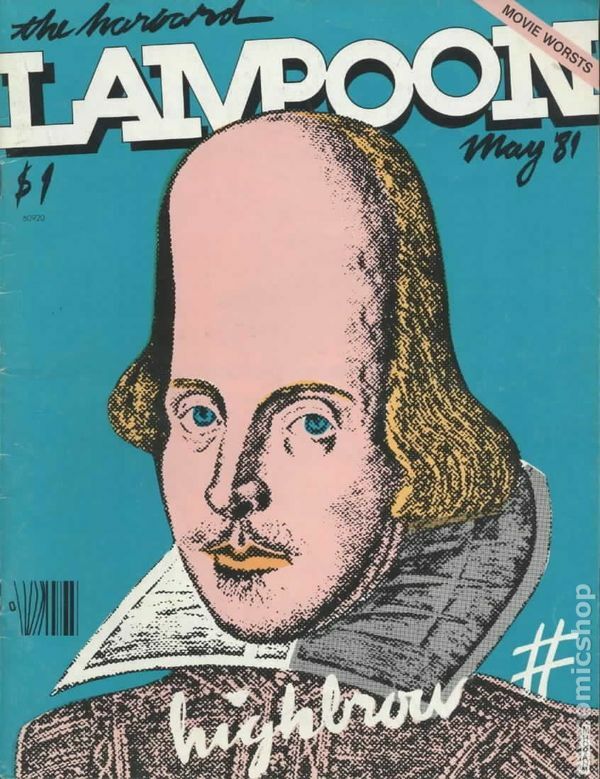 To me, it comes as no surprise that one of the first true American experiences with comedy came from university student-ran magazines. We college students understand the need to let off steam, and what better way to express our frustrations than to channel them into jokes? Nowadays, one of the most popular humor websites on the interwebs is none other than CollegeHumor, a comedy website that began as a student humor magazine. Once people began to respect humor more, comedy took off in the United States, and it’s now integral to our culture. From satirists such as Stephen Colbert, to stand-up comedians like Kevin Hart, we Americans love comedy, and our tradition of student humor magazines marks a unique form of humor. Click here to read the second part of this blog! 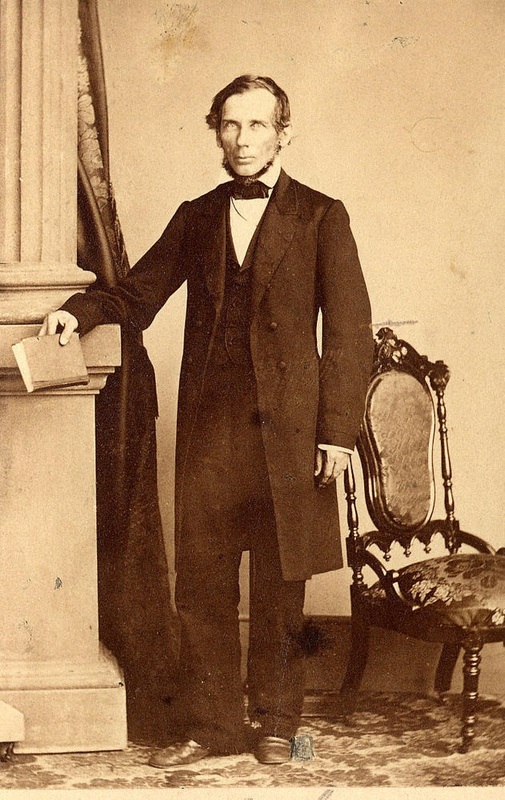 The recent development of a digital exhibit project called Andrew and Theophilus Wylie: Leadership at Indiana University, 1820 – 1890, funded by the Indiana University Office of the Bicentennial, led to new insights about one of the campus’ earliest science scholars. Theophilus A. Wylie was a faculty member at Indiana University between 1840 and 1885; he served as a professor of classical languages, chemistry, natural philosophy, and physics. He was also the first librarian, vice president, and interim president of Indiana University. Wylie’s publication record, however, does not suggest a scholar connected with the important scientific ideas of his day. Aside from a few isolated scientific articles in the American Journal of Science and the Proceedings of the American Philosophical Society, Wylie was more interested in writing about local history and other topics meant for a popular audience (see a fuller discussion of Wylie’s publications in the Scholarly Communications section of the Wylie House Museum’s digital exhibits site). Yet, a closer examination of Wylie’s personal library, preserved at the Wylie House Museum suggests the exact opposite. Wylie had a collection of about 700 books in his home (a full spreadsheet is available). Wylie also annotated his books, and the books he annotated the most, tell an interesting story. First Principles of Chemistry for the Use of Colleges and Schools – Benjamin Silliman, Jr.
From this brief list, one can detect a pattern. Many of these were well-known and highly regarded British scientists and science writers (Humphrey Lloyd, John Herschel, Charles Hutton, Dionysius Lardner); some of them were well-known figures at the forefront of thinking in physics and astronomy (besides Herschel, the Americans Benjamin Pierce and Denison Olmsted). All of these scientists were involved not only in scientific research during the nineteenth-century, but also in scientific education and public organization. For instance, John Herschel was a leading light of British science through both his experimental researches, his methodological writings, his early leadership as a Cambridge undergraduate in the reform of British mathematics, and the foundation of the British Association for the Advancement of Science. Also, Humphrey Lloyd was one of the founders of the British Association, later the British Association for the Advancement of Science. And Neil Arnott went on to be one of the founders of the University of London. 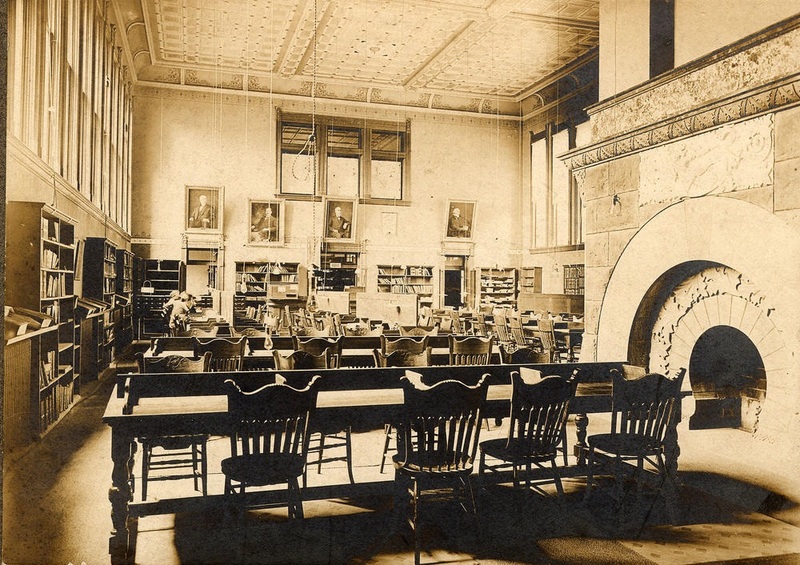 Thus, Wylie’s engagement with his library shows that he was connected to some of the centers of scientific thinking, particularly in Britain, and that Wylie was interested in helping to create a system for the organization and teaching of science. This interest is not surprising since American professional scientific societies such as the American Association for the Advancement of Science and many universities were also undergoing significant changes during Wylie’s lifetime. One can only speculate as to how Wylie became so acquainted with these figures. Wylie was good friends with Daniel Kirkwood, a famous astronomer, IU faculty member, long-term correspondent, and mentee of the astronomer and mathematician Benjamin Pierce at Harvard. Kirkwood and Pierce also participated together in events within the American Association for the Advancement of Science. Additionally, Wylie was a graduate of the University of Pennsylvania in Philadelphia, where the American Association for the Advancement of Science was founded, and Wylie was a correspondent with his fellow graduate John Fries Frazer, Provost at Penn. It is therefore possible that Wylie became acquainted with these figures through people like Kirkwood and Frazer who would have been at the center of scientific activity in the nineteenth century. Regardless, this small list of books alone, and the fact that Wylie was actively annotating and engaging with their ideas, demonstrate how Indiana University, through faculty members like Wylie, were quite active in the scientific debates happening at an important time during United States history. More research could help to discover how Indiana University’s leadership helped to shape science and education. The larger digital exhibit project from which this research stems, Andrew and Theophilus Wylie: Leadership at Indiana University, 1820 – 1890, includes a fuller discussion of Wylie’s library as well as many other Wylie-related topics. We would like to acknowledge the help of Carey Beam, the director of the Wylie House Museum, who made Wylie’s library available and managed this project, and to Brett Roberts, project assistant, for his work in organizing Wylie’s annotations.